The $36 million South Terminal Modernization Project (Phase II) strengthens the remaining 560-ft. of the 700-ft. South Terminal dock structure (140-ft. was strengthened as part of Phase I in 2015), and makes electrical upgrades at the wharf. On Oct. 24, the Port of Everett Commission authorized staff to solicit construction bids for the Port's South Terminal Modernization project. This marks a major milestone in the Port Commission's effort to realize its top strategic initiative to modernize the Seaport. This capital improvement project, combined with the double rail siding that is currently under construction, will ensure the Port's facilities are ready to support the next generation of over-dimensional cargo, including aerospace parts for the new 777X coming on line in late-2018. The South Terminal facility is a key piece of this modernization effort. The dock was originally built in the 1970s for log operations, and in its current state, can only accommodate 500 lbs. per sq. ft. (psf). Modern cargo operations require a minimum of 1,000 psf. Upon completion, the dock will be able to accommodate two, 100-ft. gauge rail-mounted container cranes and provide the vaults for shorepower. The bid package is expected in late-November. Construction is anticipated to begin in April 2018 and last through December 2019. 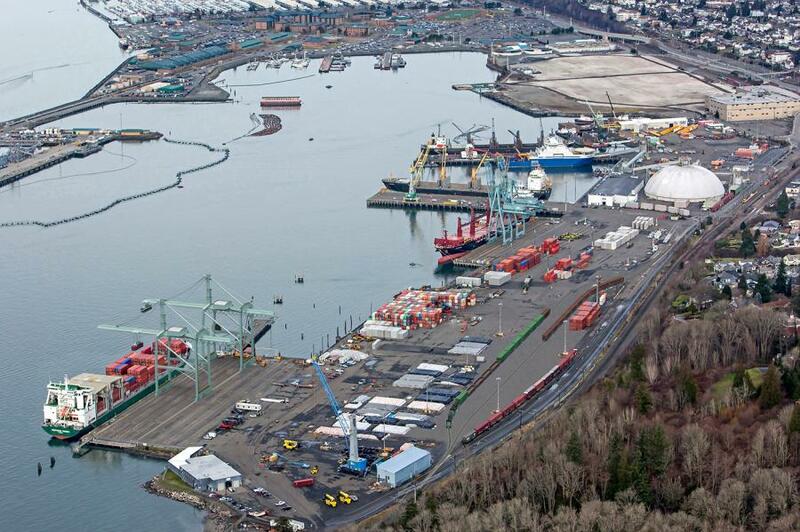 “This is a bold and momentous step toward the goal that the Port Commission set forward nearly two years ago to modernize its Seaport to support the industry shipping trends,” Port of Everett CEO Les Reardanz said. The Port of Everett supports nearly $30 billion worth of U.S. exports annually, the largest customs district in Washington State. Its regional transportation network supports more than 35,000 jobs and generates $313 million in state and local tax revenues. This significant economic impact would not be possible without investment in critical freight infrastructure.